When Footy Boots ran an article recently on football boot leather, it seemed to throw up more questions than it answered. 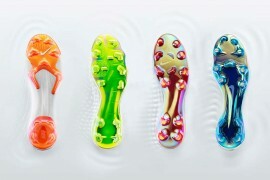 Many of you were keen to know more…about the materials used, the technologies employed and the techniques acquired by the football boot industry over the years. In order to answer these questions, we went to one of the most qualified men in the game, the Managing Director of Nomis Sports Innovations Pty Ltd, Darryl Cassingham. Known simply as Dr Leather, Darryl’s forgotten more on the subject than most people will ever know. Next week, he’ll be talking about advancements in the industry but in part 1 today, Cassingham looks back at his time in the sector and gives us a guide as to what and how different materials are used. FB: Darryl, thanks for talking to us at such great length. First off, what’s your background in the football boot industry? DC: I began as a leather technologist almost 20 years ago at the World’s leading technical leather tannery in England called Pittards. I studied at the British School of Leather Technology, based in Northampton in 1991-93 and came top in my class, but have continued to study throughout and was the first to be awarded an MBA in Leather Management in 2008. I was the youngest Fellow of the Society of Leather Technologists & Chemists, a Licentiate of the City & Guilds in the UK, and have won a number of awards within the leather industry. I became the Innovations Manager at Pittards in the late 1990’s, and created many of the modern technologies they have relating to the gloving leathers, with specific technologies for the military. This culminated in a number of patents being created to protect Intellectual Property Rights of which I have extensive knowledge. 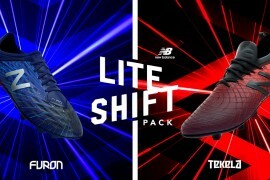 In addition I researched into a lot of technology from other industries that could be transferred into the gloving and footwear industries, with a watching brief on competitor materials, including the synthetic leathers. 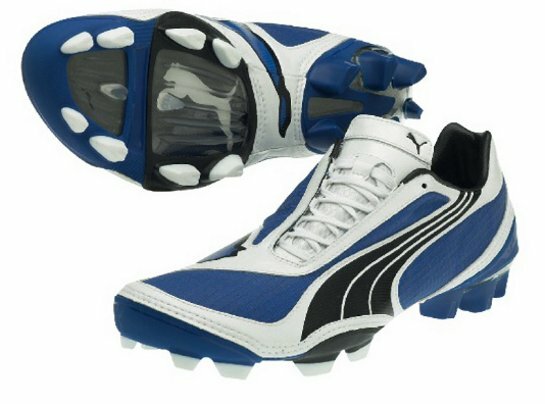 My role also involved input into the technologies and development of the Pittards soccer-lite leathers, which were exclusive from Pittards to PUMA for some time. Being the Innovations Manager I was free to investigate all aspects of footwear production, and look at all of the materials used. The TPU materials used in the outsoles were of great interest, and still are today. I then accepted the fabulous opportunity to become Technical Director at Packer Leather in Brisbane, Australia in 2002, which is the world’s largest kangaroo leather tannery. 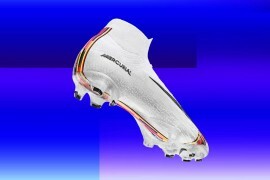 Their predominant product was football boot leather, and so in this role I had greater exposure to the product development of football boots from all of the leading brands. 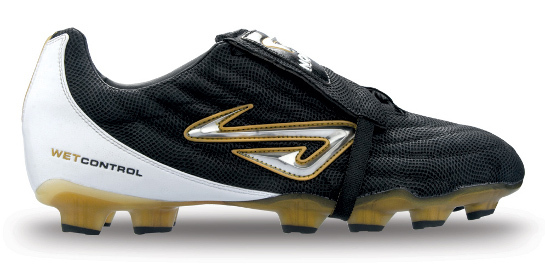 In that time at Packer Leather I assisted in the creation of the Nomis leathers and technologies after a chance meeting with Simon Skirrow in 2003, which was extremely refreshing as he was only interested in the creation of materials that were suited to the needs of a football boot. A lot of the ‘other’ brands are driven by price of materials first, and there were countless times that development leathers that had been produced were presented to the larger brands only to be told ‘Sorry, but that won’t fit into our pricing structure for that boot’. That is extremely demoralizing and stifling at the same time, I can assure you!!!! In 2008 I decided to join Nomis, and head up the Research Team. But also I have the responsibility of being the MD of the Australasian arm of Nomis, which is very important seeing as it is the birthplace of the brand. I now liaise with the manufacturers of all of our products, and always find it interesting when we head to Vietnam for our regular development meetings and observe the production of our footwear. 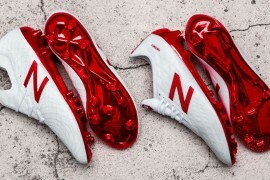 FB: What are the positives and negatives of the main materials used in football boot production, particularly with regards to uppers? To be truthful synthetics are a copy of genuine leather, and this should be stated from the beginning they simply are not leather no matter what anyone ever says. They are made through the use of a synthetic (man-made) woven or non-woven fibre structure, before being coated with generally a heavy coating of polyurethane or PVC based polymer. Often they have little, if any, breathability or moisture management capabilities, which as players well know can cause the foot to heat up to facilitate in blister creation whilst also harbouring sweat which then creates a perfect diet for an army of micro-organism growth and smell. Also their stretch characteristics are often brought into question, which can be detrimental to the boot conforming to the foot. They tend to feature around solvent based chemistries, which are questionable, although a few suppliers are now pioneering water based products. And really they don’t feature much else I’m afraid, apart from easier bonding during manufacturing due to most not having water resistance properties!!! Another point worth noting is that the majority of these synthetics are all hydrocarbon based, i.e. their base constituents come from the base material of oil. Therefore they are not all from renewable resources, and they are heavily affected through the price of oil. In a positive sense though, these synthetic leathers are adored by footwear factories because they come in nice consistent large rolls or sheets which are simple to cut from, which make the cutting coefficients high, and thus the reduced prices linked to this fact are worshipped by a lot of brands creating product to ultimately please their shareholders. In addition, by having such a thick coating of polymer on the surface, the abrasion resistance is generally better, and they can be made with a number of optical effects including colours and surface looks through embossing techniques, along with screen printed options. 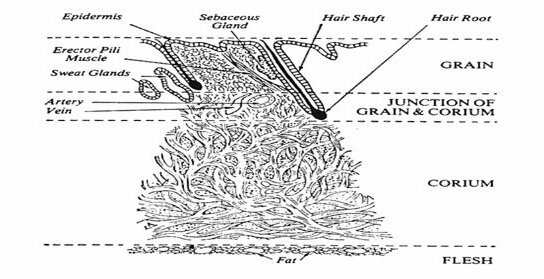 OK, let’s start with a cross-section of a hide or skin, which is shown below. The grain section is the outside of the hide or skin and gives you the typical grain pattern on leather. The corium part is where the really strong fibres are to give strength. And then all of this fibre structure is stabilised and modified through chemical treatments during the tanning processes. Essentially they all share a universal makeup, although aspects such as grain:corium ratio, angle of weave and others vary from different species of animals. These variations occur where the hide/skin of the animal has evolved to be suited to the habitat in which the animal lives, with one perfect example being a kangaroo skin structure having superior strength by having a very dense structure with little fat in it, the fibre weave being very flat, like a rope to give superb tensile strength, and a major proportion of corium fibre to enhance the strength still further. This is why certain animal fibre structures are more suited to one use than others. The clever bit is to select the right animal hide/skin as a basis. The benefit of leather is that it is already a brilliant material to cover any anatomy. It is a renewable resource, in that the hides and skins of animals are almost exclusively by-products of the meat and farming industry, and this includes kangaroo leather contrary to popular myth that kangaroos are killed for their skins which is a fallacy. The protein based fibre structure can be chemically modified with relative ease to incorporate many technologies to provide a superb foundation to create a smart material with many features and technical benefits. It has a fantastic capability to conform and mould to a foot when tanned correctly, and provide a brilliant moisture management control basis. It can be treated to offer numerous optical effects, and it just has a wonderful elegance to it. The downside of leather is generally that is quite expensive due to the amount of handling required in its manufacture, and the numerous processing stages involved. There can be up to 100 individual processes in the creation of certain leathers!!!! It is not a continuous sheet of material, like the rolls of synthetics. Also because it is a natural material, there are invariably some surface defects on the material from scratches, skin infections, etc, and so finer grades of leather are more expensive. Here is where the consumer again must be careful, in that many products have the grain of the leather is actually buffed off, and an artificial grain created through a coating or a lamination process, with a ‘copied’ grain pattern embossed in to it. The term ‘Action Leather’ is associated with the instance of a heavy coating to create a false grain. There is also a high skill requirement to optimise the cutting of the leather, due to its odd shape and spread of sizes, which makes the cutting of shoe components time consuming, and so the footwear factories sometimes use this as an excuse to wanting to move to synthetics. FB: What material do you prefer working with and why? DC: I love and prefer working with leather. It has been a significant part of my life, and I still have a strong passion to create better leather products. Genuine leather has the invaluable benefit that it is composed of a natural fibre structure..being skin!!!! Nature has it all figured out in this respect, and has created a biological marvel for the covering of creatures that is highly evolved and specific to the environment in which they live. It provides a smart-material for Bodily Protection, Superior Strength, Thermal Regulation, Sensation, Excretion Capabilities, Chemical Absorption and Storage, Water-proofness, even the possibility of Communication and Adaptive Camouflage (e.g. a Chameleon) to name but a few. However, when the animal dies some of these features are lost with it such as waterproofing.. but the scaffold is left in place. This is where the technicians in the leather industry reintroduce technologies brought about through chemical reactions in the tanning and finishing processes. We can recreate the water resistance, the colouration through dyes and pigments, rejuvenate moisture management systems within the structure, introduce anti-microbial properties, adjust the processing to make the leather softer or firmer, more stretchy or rigid, to name a few. Nomis has utilised the best of these, many being military spec grade technologies, in conjunction with its patented grip technologies. You can check out the second part of our interview with Darryl Cassingham (MBA, HND FSLTC, LCGI) on Footy Boots next week. Brilliant article, this is a topic I for one am quite oblivious to. Good to get this kind of inside knowledge. Too true Aussie Lad – really informative and thorough. Boy, does this bloke know his stuff or what?? Agreeing with Aussie Lad here – I know next to nothing about leather, so this is really interesting! 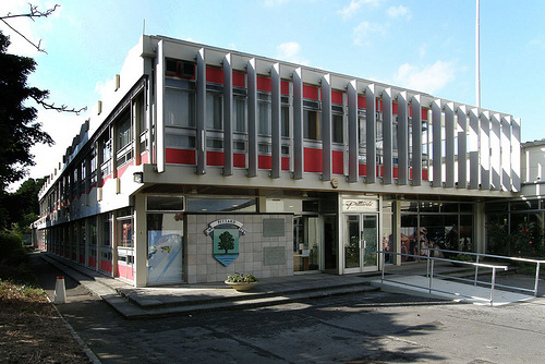 Also – there’s a British School of Leather Technology!? Great, grat article. I can’t wait for the second part now. Fantastic article, really. I had no idea that leather and the fabrication thereof was so intricate! This was one of the better articles that I’ve seen on this site. 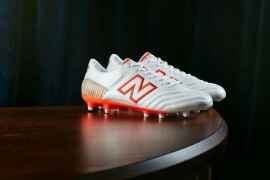 ***** Quick suggestion: The footy boots team should have a test run at the Nomis line! I am fascinated by these shoes! Please, someone talk to Simon and get a pair of these and share the experience with the consumer! and now i know why k-leather is the best for boots! 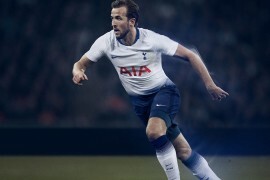 Fantastic article, I’m already looking forward to part 2! Thanks for the informative look into the industry Darryl!